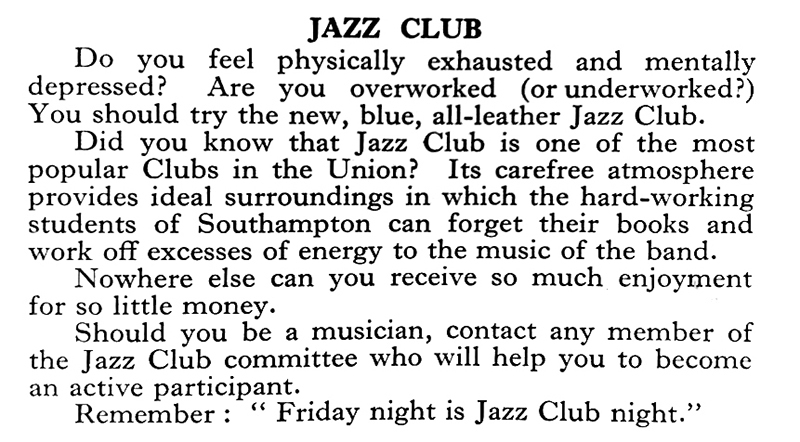 To mark International Jazz Day which takes place on Sunday, 30th April we have decided to take a brief look at the early days of the Southampton University Jazz Club. Live music has formed a part of the University’s life since the early decades of the 20th century. This initially consisted of concerts and performances by musical societies such as the Choral and Orchestral Society. By the 1950s Southampton had become a fully-fledged university – receiving its royal charter on 29 April 1952 – marking the beginning of a golden era of live music, particularly in the form of jazz and rock. Jazz as a genre of music began life among African-American communities during the late nineteenth and early twentieth centuries. Amalgamating African and European music sensibilities, early jazz drew on a range of influences. Throughout its history it has continually evolved, giving rise to many distinctive styles. A difficult genre to define, it is most broadly recognised for its use of musical improvisation, contrasting rhythms, and syncopated notes. Prior to the 1930s, the influence of jazz in Britain remained limited. However, the arrival of American jazz musicians such as Louis Armstrong and Duke Ellington meant that British musicians, as well as the British public, were becoming increasingly jazz-aware. By the 1940s all kinds of jazz and jazz-flavoured dance music flourished in London nightclub while the latter part of the decade saw the jazz scene divide into two distinct movements: modern and traditional. Modern jazz in Britain was influenced by American bebop, a new style characterised by a fast tempo together with complex harmony and rhythms. A movement in the opposite direction was revivalism, which sought to re-engage with traditional Dixieland and Ragtime styles. 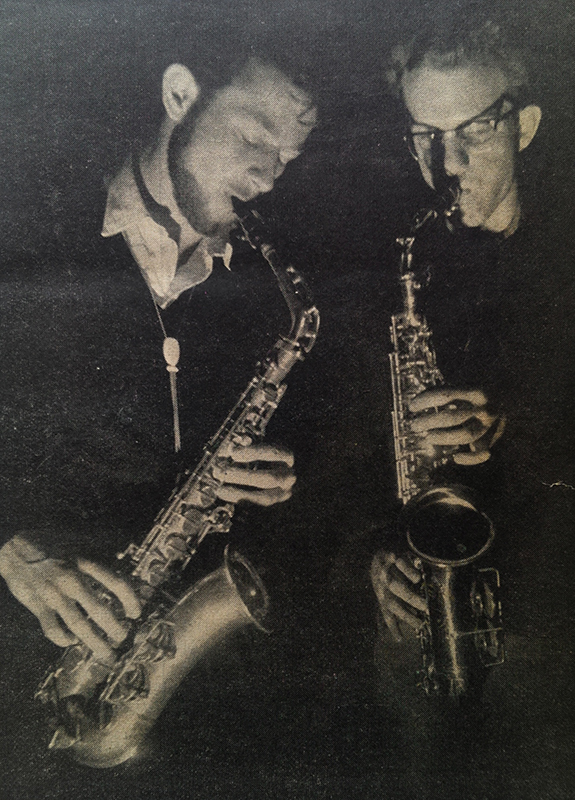 Both styles remained popular throughout the 1950s, a decade which saw the popularity of British jazz continue to flourish, particularly across university campuses. 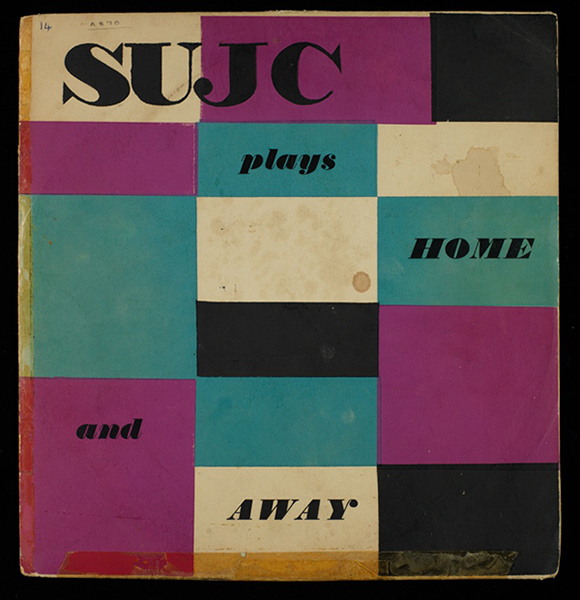 Formed in 1955, the Southampton University Jazz Club (S.U.J.C.) quickly established itself as the University’s biggest student society. This was largely thanks to weekly live sessions with local and visiting bands. Performances were affordable and provided different styles for different tastes, with traditional New Orleans Jazz performed in the Refectory and Modern Jazz in the Terrace Room. At the same time, the University was producing a number of its own jazz bands, including Group One, an eight piece band who won the Southern Semi-Finals of the International University Jazz Festival competition in 1960, and the Dudley Hyams Quintet and Apex Jazzmen, who took first and second place in the Regional Semi-Finals at Bristol in 1962.
by the University jazz bands Group One and Apex Jazzmen. By the early 1960s, jazz had established itself as an integral part of the student social scene with nearly all dances and socials featuring jazz groups, either as support or as the main attraction. 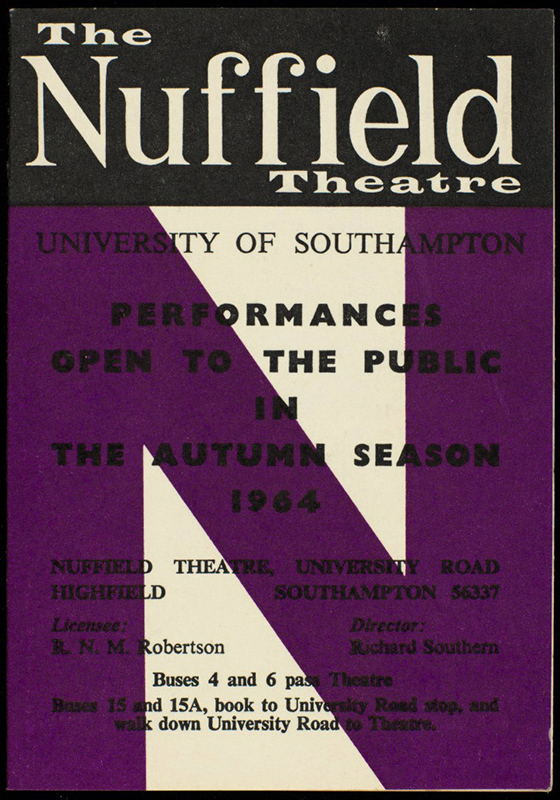 The programme for the first University of Southampton Arts Festival in 1961 lists a series of jazz performances alongside a lecture on the place of jazz among the arts. While the British jazz scene continued to develop and innovate throughout the 1960s, and beyond, there was a significant decline in the popularity of jazz at the University by the middle part of the decade. However, this did not mark the end of the vibrant music scene which continued into the 1960s and 1970s with a range of big names in rock performing at Southampton. 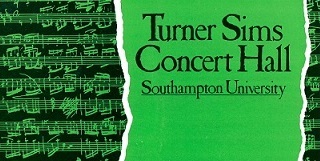 The 1970s also saw a major development in live music at the University with the construction of the Turner Sims Concert Hall. Since opening it has acted as a venue for concerts by an array of professional musicians as well as for masterclasses and teaching activities. Performances cover a range of musical genres, including classical, folk and jazz. Upcoming jazz performances include Courtney Pine and Omar. In the 80’s Pine was one of the first black British jazz artists to make a serious mark on the jazz scene. For further details and to find out about other upcoming performances, visit the Turner Sims website. There are now a wide range of jazz and other music orientated groups and events at the University. 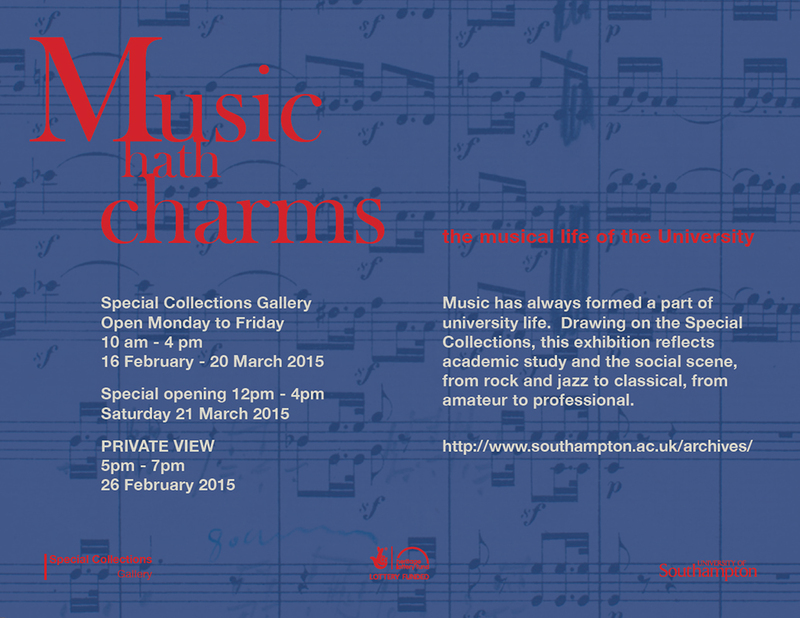 Learn more about these on the Arts at University of Southampton website. For more information on the history of music and the arts at the University be sure to check out our online exhibition. The Special Collections Gallery is situated on Level 4 of the Hartley Library, University of Southampton. The Library is on the east side of the University Road, on the University’s Highfield campus. 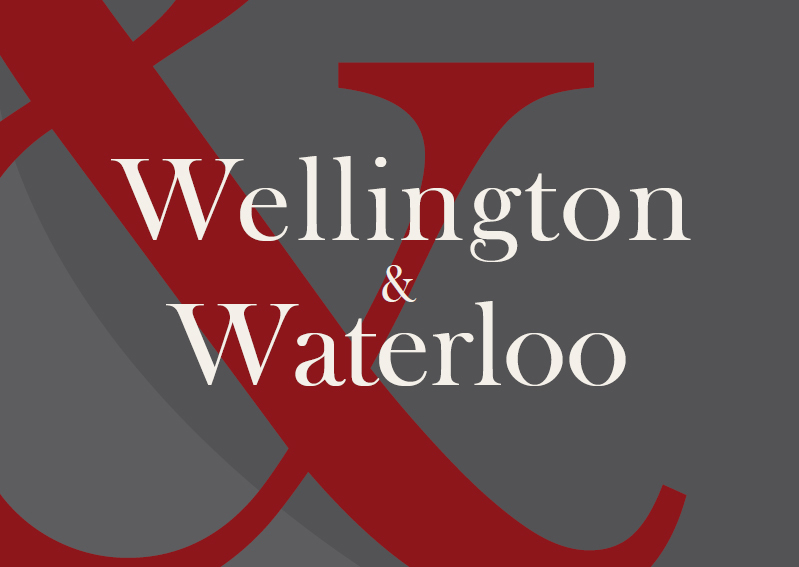 Led by Chris Woolgar, Professor of History and Archival Studies, and Karen Robson, Head of Archives, at the University of Southampton, this free online course will use the Wellington Archive as its basis to discover more about one of the great events of the nineteenth century from the perspective of the Duke of Wellington. Regular readers of the blog will be familiar with our recent posts focusing on some of the key dates on the road to the battle of Waterloo. Using material from the Special Collections, including the Wellington Archive, future posts will also focus on the aftermath of the battle leading to the restoration of Louis XVIII. Although registration has now closed for the Congress, it is still possible to purchase tickets for “With Wellington we’ll go” a concert of music from the period by the Madding Crowd at the Turner Sims Concert Hall. To mark the final week of the current exhibition in the Special Collections Gallery, we take a brief tour of the gallery and explore the musical life of the University! On entering the gallery, the first case introduces us to music as an academic discipline, and includes a score for “Sleep, my little one!” by George Leake, who became the first Professor of Music in 1920 and saw the department given faculty status in 1924. Across from this we find a score commemorating the battle of Waterloo, which not only represents the select range of special collections relating to music held by the University, but also ties in with one of the University’s most prominent manuscript collections, the Wellington Papers! 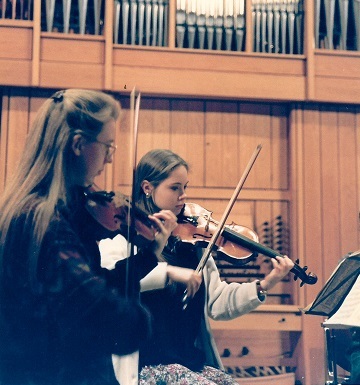 A selection of other material in the case reflects student engagement with music, including photographs of master classes for music students using the Turner Sims Concert Hall. Moving on to the second case we are introduced to what is probably the most significant of the music manuscript collections held by the University, the conducting scores of Gustav Mahler. 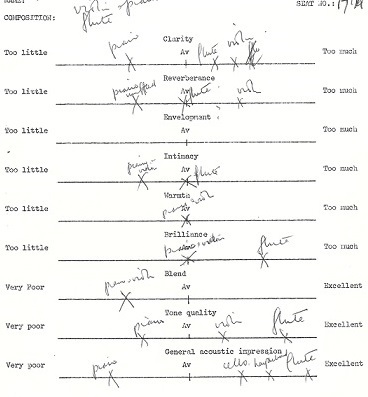 As is noted in the exhibition catalogue, like many conductors of his era, Mahler made alterations to scores in his repertoire, with the scores on display bearing his annotations made in the process of conducting, as with the Beethoven scores, or whilst reworking his own compositions. 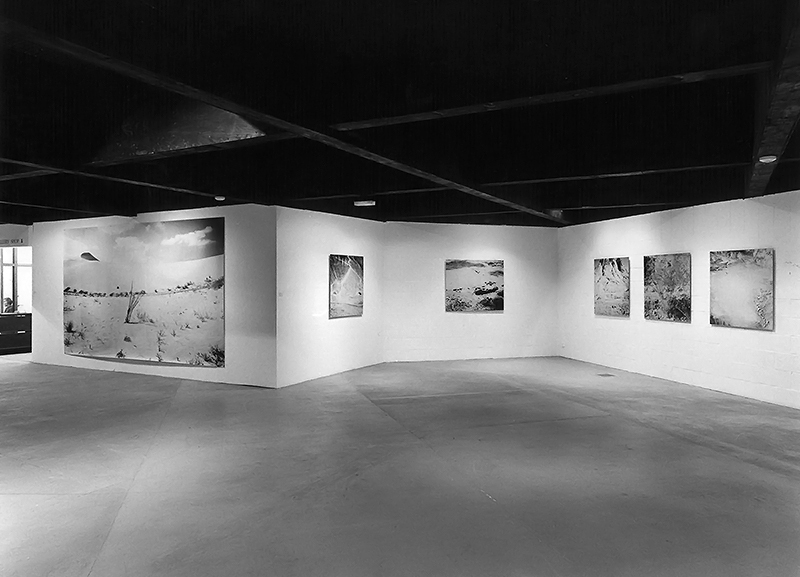 Next we move on to one of the real standout features of the exhibition in the form of a series of beautifully shot black and white photographs by John Garfield on display in case three. The case extends along the back wall of the gallery with the photographs showcasing a range of performances at the Turner Sims Concert Hall from the past two decades. Case four then draws us into the world of light opera and, in particular, the world of Gilbert and Sullivan! 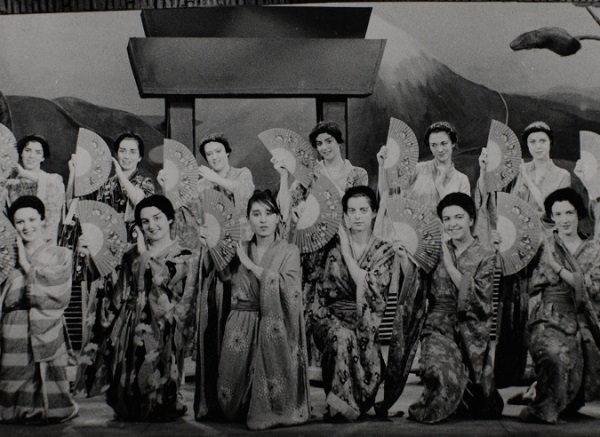 The photographs and pamphlets on display are drawn from performances by three operatic societies, the Choral and Orchestral Society (from the 1930s); the Southampton University Operatic Society (from the 1960s); and the Southampton Operatic Society (from the 1970s and 1980s). Moving around to the opposite side of the case, we find a range of college songs and student song books associated with the University during its previous incarnations as Hartley University College (1902-14) and University College Southampton (1914-52). 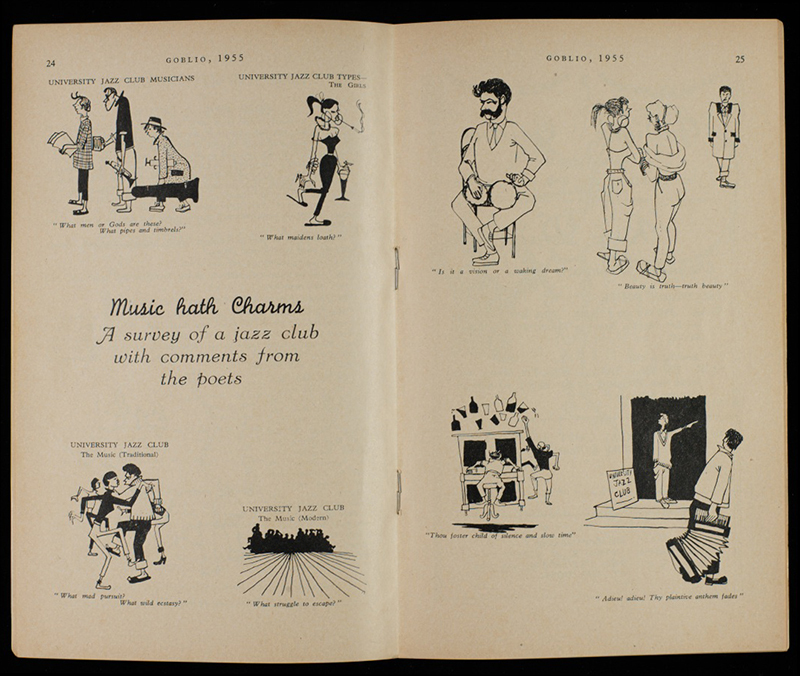 The songs are primarily light heart compositions reflecting aspects of student life at the University, with a number of transcriptions available in the exhibition catalogue. The final part of the exhibition focuses on the vibrant music scene at the University from the 1950s to the 1970s, specifically in the form of jazz and rock. Case five, together with an accompanying screen display, provides a series of articles and reviews from a range of student publications covering this golden era of live music. 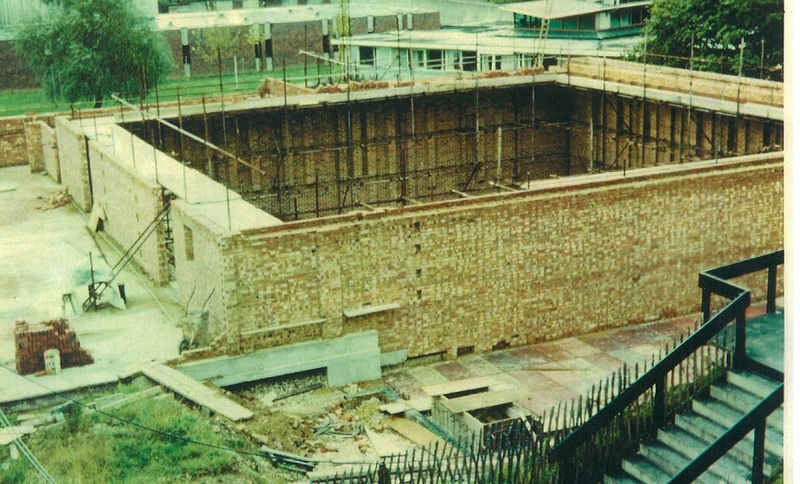 While the early 1960s saw the Southampton University Jazz Club emerge as the University’s biggest student society, largely thanks to weekly live sessions, both the 1960s and 1970s brought a range of performances by the likes of Manfred Mann, T-Rex, Pink Floyd, Deep Purple, The Velvet Underground, Captain Beefheart and Led Zepplin. A particularly fun feature of this part of the exhibition is the audio recording accompanying the screen display, which provides the opportunity to listen to recordings by the University’s own jazz bands, Group One and Apex Jazzmen, originally recorded in 1960. The areas covered in the exhibition only provide snapshots of the dynamic musical life of the University. Equally, the exhibition only provides a glimpse of the range of music related resources held by the Special Collections Division which consist not only of music sheets and scores, but also material relating to the history of music, the University’s music societies, acoustics and architecture, and cantorial music. The exhibition runs until Friday 20 March, with a special opening on Saturday 21 March 12pm-4pm, in conjunction with Beethovathon at the Turner Sims Concert Hall. Music as an academic subject has formed a part of university life since the early days of the Institution, growing from a small department in the early part of the twentieth century to the international faculty of today. 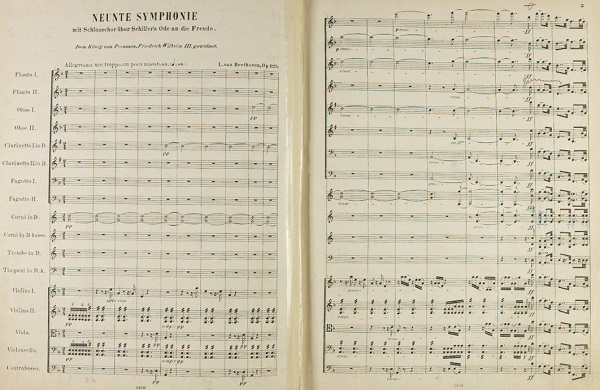 Since the inception of the Hartley Institution in 1862, the University Library Special Collections has acquired a select range of collections relating to music that support research activities: the most significant manuscript collection probably being that of the conducting scores of Gustav Mahler. Musical activities, particularly in terms of social events and performances, also have been a regular fixture of University life. Groups such as the Southampton Operatic Society and the Choral and Orchestral Society have performed shows at the University for decades, while the Student Union has been the hub of musical entertainment and social events, with many major bands and performers appearing. 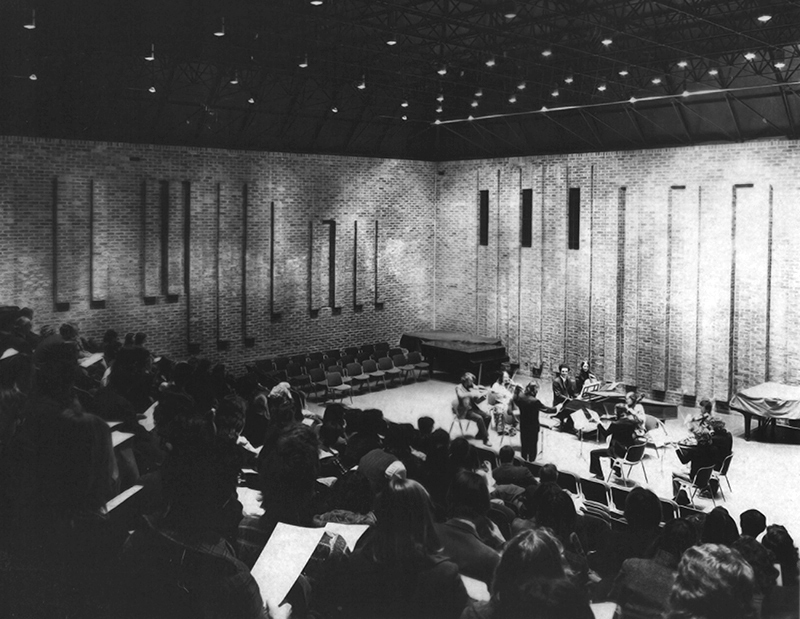 The construction of the Turner Sims Concert Hall on campus in the 1970s added a further dimension to the musical life of the University, providing a purpose built performance space for professional concerts as well as for teaching. Drawing on the Special Collections, this exhibition reflects academic study and the social scene, from rock and jazz to classical, from amateur to professional. The exhibition runs from 16 February to 20 March 2015. There will be a special opening on Saturday 21 March 12pm-4pm, in conjunction with Beethovathon at the Turner Sims Concert Hall. A private view and drinks reception will take place on Thursday 26 February 5pm-7pm. All are welcome.